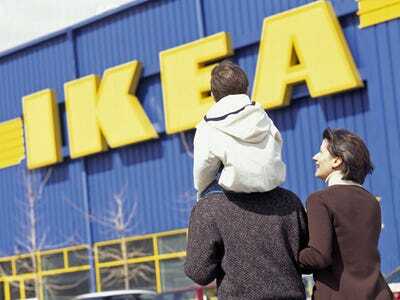 Furniture retailer IKEA is moving forward in its urban development ventures — the company is currently planning to build housing districts in both London and Hamburg, Germany.Strand East, the 26-acre site in London, will have enough housing for 6,000 people, as well as shops, theatres, and a hotel. It’s estimated that it will cost around half a billion dollars to construct. The German district will also house thousands. Why is IKEA, a company with a great sales record and aggressive expansion plans, getting entangled in the European real estate market? Fast Company’s Greg Lindsay has a smart theory about the retailer’s real estate moves, which also include plans to build budget hotels and possibly even student housing. According to Lindsay, it could be a “legacy-building” effort by Ingrad Kamprad, the company’s founder, whose controversial past includes alleged connections to the Nazis and prison labour. Strand East serves as both an investment designed to outlive him and a final gambit to restore his reputation. Aside from Kamprad’s ego, the project also represents a renewed effort to conquer the UK housing market, Lindsay writes, noting that IKEA’s inexpensive prefab “BoKlok” houses never caught on in Britain like they did in Scandinavia, though they were first introduced there 16 years ago.